Lately Little 3 has been showing an interest in letters and letter sounds or Phonics as they are known, he has been asking what letters are called and what sound they make, at just 3 and a half he attends pre-school but isn't yet in school so when we were asked to review the 'Read with Phonics' app I thought it might be a good introduction for him and a bit of fun too. 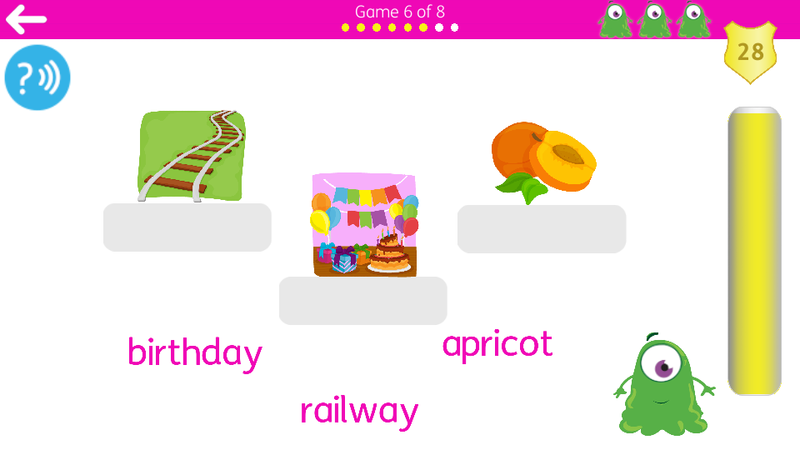 The read with Phonics app was designed by a Key Stage 1 teacher to support children in the learning of phonics, it is aimed at children aged 3 to 10. 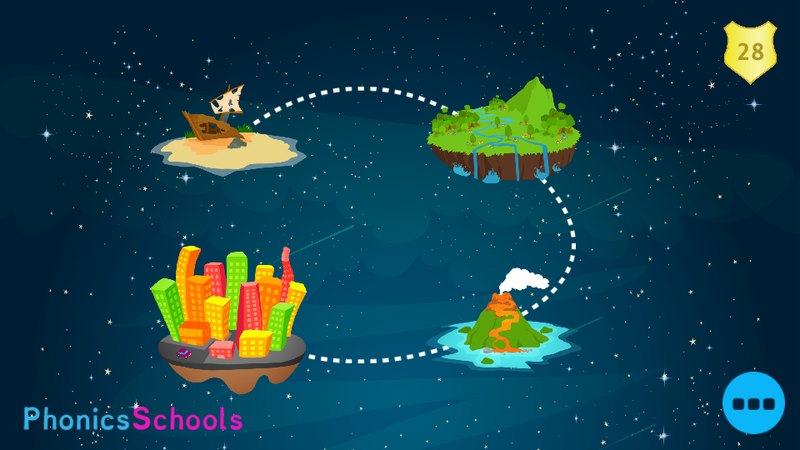 Through a series of games beginning in Water World with single letter sounds such as e, h, p the app aims to teach phonics through identification and recognition in the order they would be taught in school. As you progress through different islands, Water World, Forest World, Lava Land and Jelly City more phonics are introduced along with variations of the same sounds such as a, ay, ai until all 44 phonics and sounds have been learnt and practiced. Each sound has to me completed before you can move along to the next ensuring sounds are learnt in the normal order. 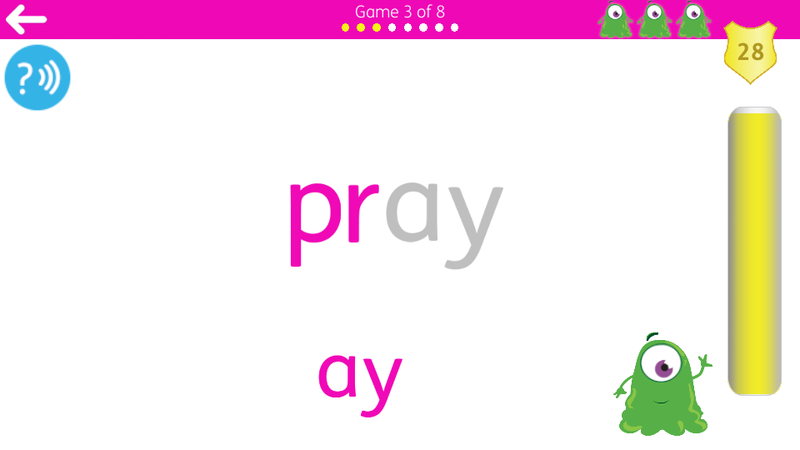 Read with phonics teaches through short games focussing on the selected sound. In the case of my pictures below the sound this time is the a, ay, ai group. 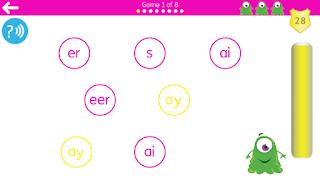 First the child hears the sound and has to select the correct letters which make that sound so ay and ai here. They then move onto clicking and dragging sounds onto words, as they do so the sounds are spoken and then the completed word read out. This is followed by a couple of other similar pages dragging the selected sound/s into words and hearing the word read out. 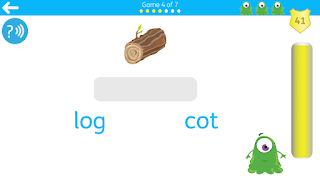 The learned words are then used in a couple of matching games before the first game is replayed at the end again with the words read out phonetically each time. 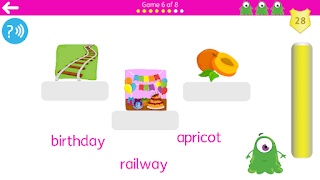 I started using the app with Little 3 as it states it is suitable from age 3 thinking it would be a fun thing to do together and help begin to develop his phonics knowledge before he starts school. The first thing I noticed is that the app expects you to have already heard or know the sound you have clicked on rather than teach you the sound first. 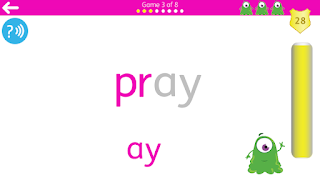 It shows you the letters and speaks the sound only once before the first game. 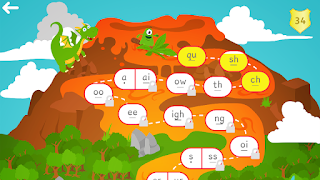 I think here for the younger age a short video or visual clip introducing the sound would be really useful particularly for younger children or those who do not have phonics experience to ensure they are saying the sounds correctly and familiarise the child with the sound. However being a teaching assistant I was happy to point to the letter and say the sound, get Little 3 to repeat it a few times and say a few words that started with that letter before he had a go at the first game which helped a lot. The first few games Little 3 could do himself- choosing the letter that matched the sound and moving the sounds into the space in the word- from the 4th game I then needed to read words for him for him to be able to continue such as putting the correct word to the picture and deciding which was a real word or a false one for Albie the alien to eat. Whilst Little 3 enjoyed the matching games he was a bit young to get the most out of the app as he relied on me to read but he did enjoy matching the sounds and letters. I think it is better aimed at slightly older children from Reception age who are beginning to learn their sounds or who know a few sounds already rather than those who need to be taught them. 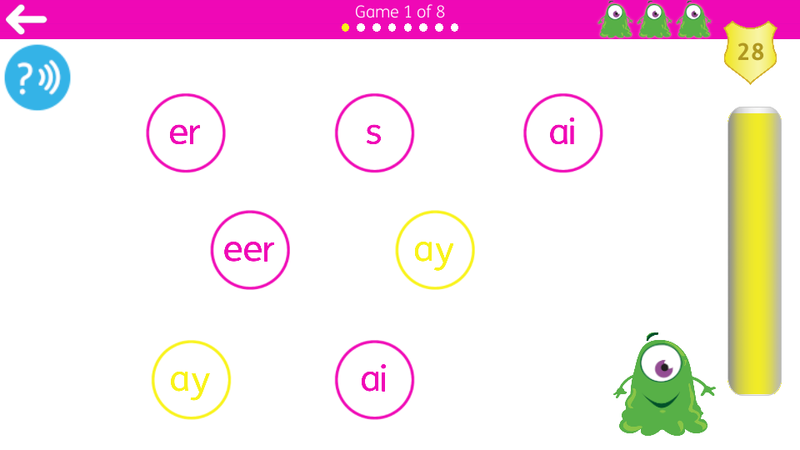 It would be a great app to complement learning in school and practice sounds at home. 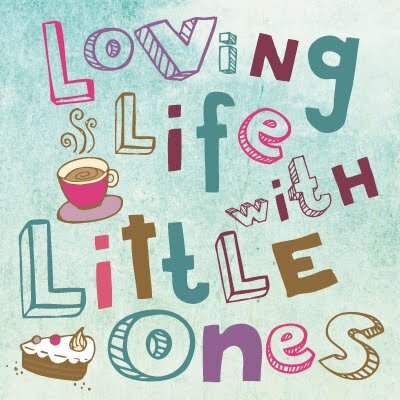 With this in mind I let Little 2, who was just itching to have a go use the app, she is 6 and a half and in Year two at school, she has learnt all her phonics and still practices them in school each day. Little 2 is excellent at her phonics knowledge and is reading above her age so it was interesting to see how she got on. 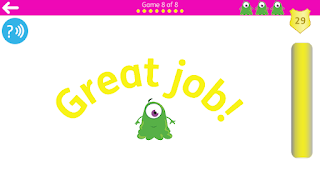 Little 2 loved the app, she could play it easily without any help, she loved the sound effects and the colours of the game as well as the graphics of the islands. She was able to play herself without any intervention from me and happily progressed through without trouble, she was keen to see her score in the right of the screen go up with each set of games passed and completed the whole of the 44 sounds in just over an hour. I liked to fact that each set of games has lives so to speak- see those three little aliens in the corner- if you select an incorrect answer you lose a life (this is done with a simple short sound) and if all three lives go you are just taken back to the screen of whichever land you are on to start that sound again meaning you need to get it right before being allowed to continue and unlock the game. Personally I think this app is most useful for those aged 4-7 to support the learning of phonics at school but can be a useful resource for those younger with adult support and also for older children to refresh, remind and practice their letters and sounds. 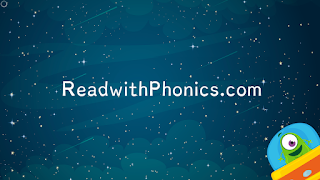 'Read with Phonics' is available on Google play, the app store and Amazon apps as well as direct through the www.readwithphonics.com for £7.99. 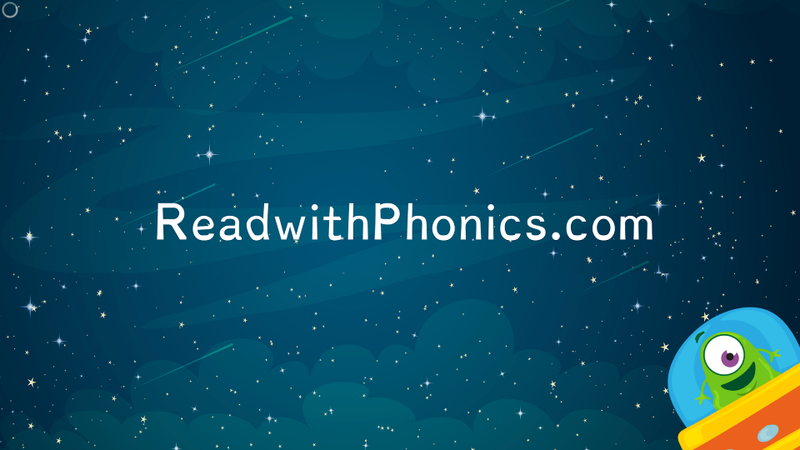 We received a free subscription to 'Read with Phonics' in return for this post.